Known for their magnificent height and glorious flower heads, sunflowers dot landscapes all around the world. The large flowers come in various shades of yellow, orange and red and make a stunning addition to any yard or garden. If you're short on space or don't have access to a backyard, they can easily be grown in pots on a porch or patio as well. Read through these tips to get started. As with any other potted containers, it's best to start off and fill them with good quality potting soil. Commercial potting soils are made up of a combination of peat moss, vermiculite or perlite, sand and some sort of compost. They help provide nutrients to your plants and are light and airy to keep containers from getting too heavy. If you'd rather make your own, The Old Farmer's Almanac can help walk you through the steps. Sunflowers can reach staggering heights of up to 15' tall in some varieties. For potted containers, you may want to plant dwarf varieties or a variety that won't grow as tall. Especially if you're an apartment dweller and have someone else's balcony right above where your containers will be! 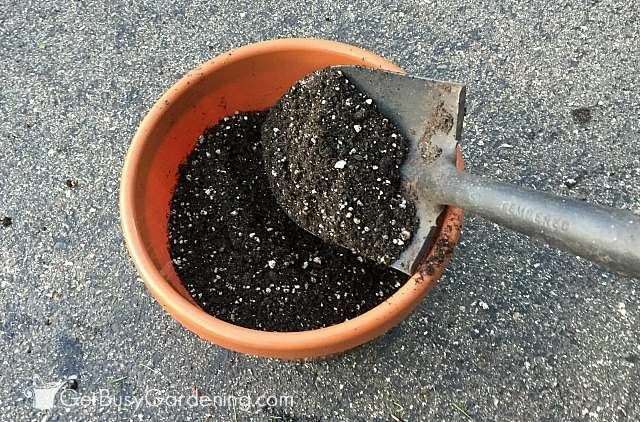 Make two small indentations - 1/2 to 1" deep - in the potting soil near the center of the container, putting a single seed in each hole. Cover gently with soil and tamp down slightly. Seeds should germinate within 2-3 weeks. Seeds need warmth and moisture/humidity to germinate. 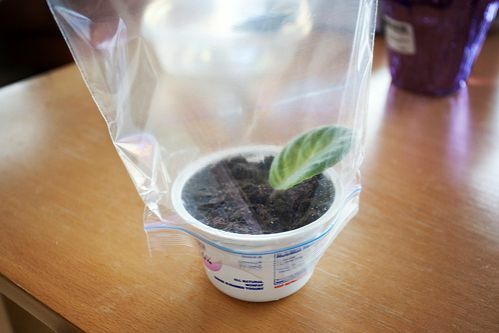 Cover the tops of the containers with a plastic bag, or a purchased plastic cover to create a mini greenhouse. This will help keep the potting soil from drying out, allowing the seed to germinate more quickly. Hunker gives a great, detailed explanation of germination and why seeds need moisture to start the process. To keep slugs from getting into the containers and snacking on your seedlings, or mature plants for that matter, wipe vaseline on the rim of the potted containers. They can't crawl through it making it a simple, cheap pest deterrent. Place containers in an area where plants will receive at least 6 hours of full sunlight during the day. 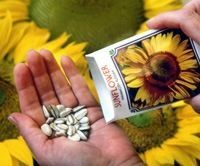 Sunflowers prefer 8 or more for best growth. If they do not get enough light during the day they will grow spindly and fall over due to lack of strength in the stem. Sunflowers thrive in hot weather with full, all day sun and are quite drought tolerant. They do need water for basic plants needs though; regular watering -- especially the 3 weeks before and after flowering -- will encourage thick, strong stems and larger flower heads. 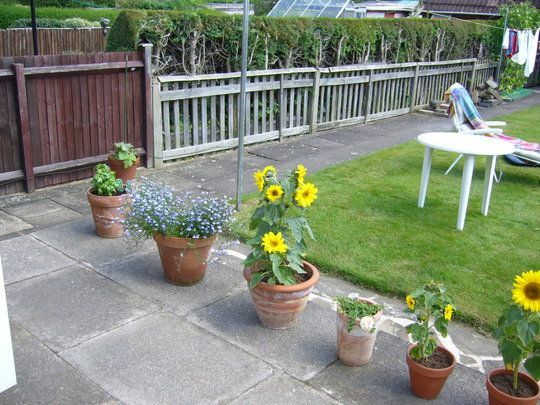 Water pots well when the soil is dry but avoid letting the roots get waterlogged or soggy. Gardening is a hobby that's not only beneficial to the environment, but also to the gardener. Every garden should have a couple of watermelon plants if space allows. 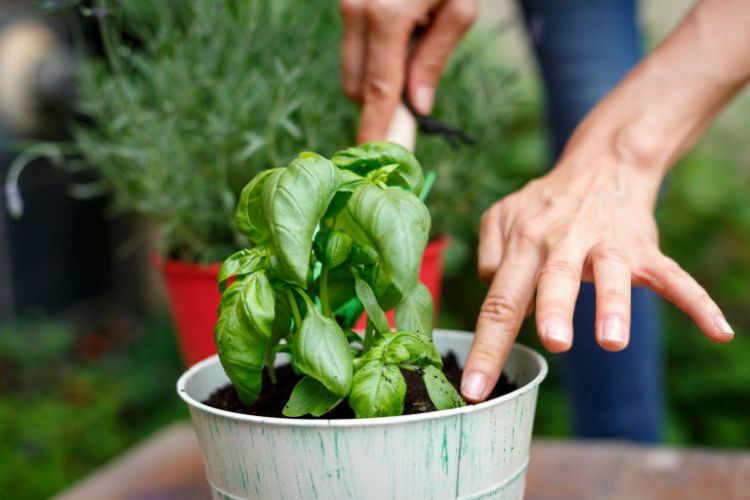 Check out these great tips to start growing your own! 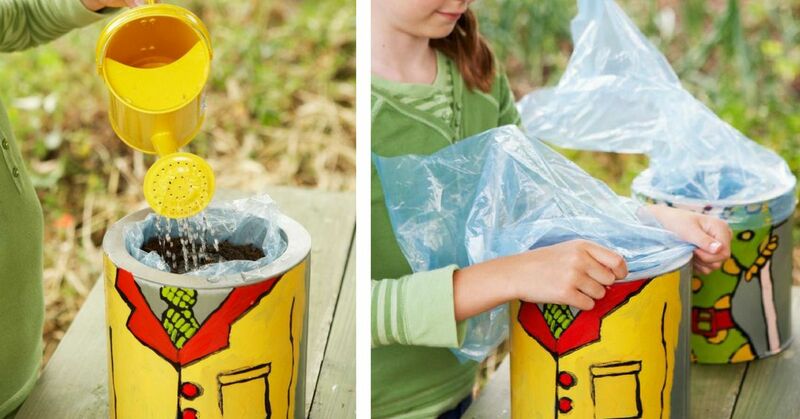 Making your own compost can be intimidating. But really, there are just a few important pieces of information you need to know before you get started.